Any accident can leave you injured and struggling to make a total recovery, but when it's an accident that occurs on the property of someone else it can come with frustration as you know that your injuries were the fault of someone else. Our lawyers understand how frustrating this can be, and we fight to make sure that the big property owners pay for their negligence. A slip and fall accident can bring one of the more complex personal injury cases with it, for numerous reasons. It can also leave you seriously injured and out of work for extended periods of time. We know that these accidents can impact our client's lives, and we make sure to get them what they deserve so they can move on. One of the most difficult aspects of life after a slip and fall accident is certainly your physical recovery. In short, you could be left injured and with a long road to recovery. And those injuries will come with a slew of medical bills. But when you combine those medical bills with the fact that you could be out of work for months or even years, your finances can be placed in an even more difficult situation. When you're focused on your financial recovery and stability, it can make it very difficult to make the kind of physical recovery that you need to move on with your life. The stress can weigh heavily on you, and many people end up working so hard on trying to make ends meet that they fail to focus on their physical health. Also, financial hardships can make it harder to even get the medical treatment that you need. When medical bills keep piling up, many find it difficult to continue going to physical therapy or paying for doctor visits and medications that they need to heal properly. When you file a personal injury lawsuit, you're able to get the compensation that you deserve for your injuries. You aren't left stressed or focused on money since our lawyers are taking care of the hard work and fighting for you. This means that you're free to focus on your physical healing without worrying about your finances. We get what you deserve so you can continue healing. What Is Fault In A Slip And Fall Case? In order to seek compensation for your injuries through a personal injury lawsuit, you'll have to be able to show that the property owner or manager is at fault. This is done by showing that they acted in a negligent or reckless manner. If negligence or reckless were present, you should be able to receive compensation for your injuries. In short, if a property owner or manager knows about a safety issue and fails to correct it or place warnings up about it, they could be held liable for injuries sustained because of it. Additionally, if they weren't aware of the problem but it can be shown that any reasonable, responsible property owner would have had time to learn about it and correct it, it could also be grounds for fault. If your accident was due to anything related to the negligence of a property owner, you shouldn't have to shoulder your financial burden alone. 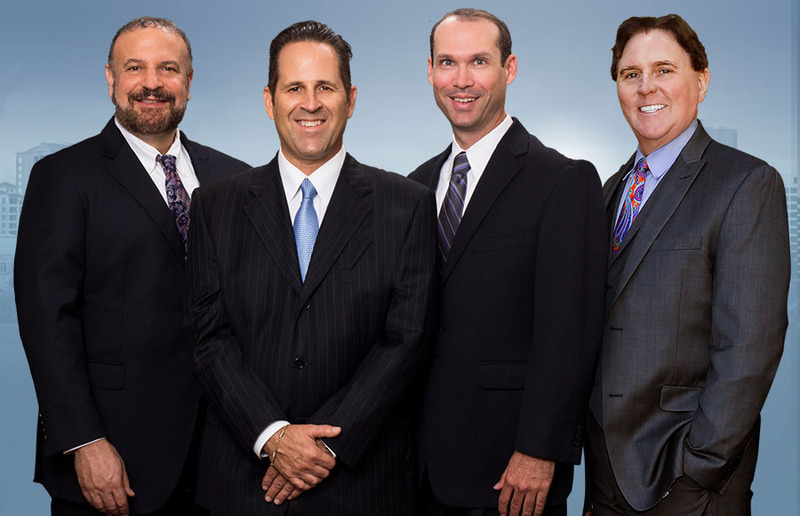 Our legal team will stand up and fight to get you what you deserve. While proving that you deserve compensation in an auto accident is fairly straightforward, it can be much more difficult in a slip and fall case. This is because while things like drunk driving or speeding are simple to show to a court, a premises liability case requires that you show that the property owner actually knew about the safety issue and chose not to do anything about it. The mere presence of a safety issue isn't enough - you have to show that the property owner knew about or should have known about the problem as well. This isn't easy to do, and having a lawyer on your side will be vital for getting what you are owed. We have decades of experience proving fault in slip and fall accident cases, and we use all of our knowledge and connections to show that you deserve compensation. With us on your side, we will get you the compensation you're owed and make them pay. A settlement is based on a variety of different things. It's very common for the other side to try to avoid giving you anything and also to try to offer you a low settlement amount that is far less than you're actually entitled to. Instead, our lawyers stand up to those bullying techniques to make sure you get what you deserve. It's important not to just blindly accept the first settlement that you are offered since this is often just little more than a trick set up by the other side to get you to give up your right to what you're really owed. Our lawyers don't let that happen to you. We stand up to the other side and make sure you get what you really deserve. We fight for the injured, not the powerful property owners and their legal teams. If you've been injured in a slip and fall accident, we're here to fight for you. Contact us today to get your consultation so we can begin working on your case and making sure that you get the settlement you deserve. I hired Mr Walsh after being involved in a car accident. He helped to settle my case in a timely manner. Thanks Mr Walsh. I corresponded mostly through Lorraine, who was great in keeping me informed. I would recommend them without a doubt.